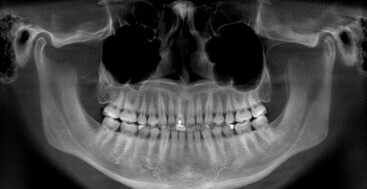 It can be a very distressing scenario when a patient is seen in the office after fracturing off an incisor. The thought of losing a tooth is tough in any situation, but it is more devastating when the tooth is in the esthetic zone. Then you add to that stress a patient who now has a lifetime to manage the dental repercussions from this one event. It is incredible that we have the option of implants to replace teeth that can not be restored. When I assess these situations, I follow a thought process that always starts with ” can we save this tooth?” I do not believe ultimate heroics and saving teeth just to have the patient and dentist manage multiple frustrations because the treatment was unpredictable or impossible. On the other hand I am clear that from an esthetic point of view, if I can save the natural tooth the impact on preserving bone and tissue are to our advantage. Over the years as I have asked myself this question about saving teeth, I have employed the help of orthodontics more and more. One of the classic challenges of an incisor that has fractured off is having adequate tooth structure to make the tooth restorable. 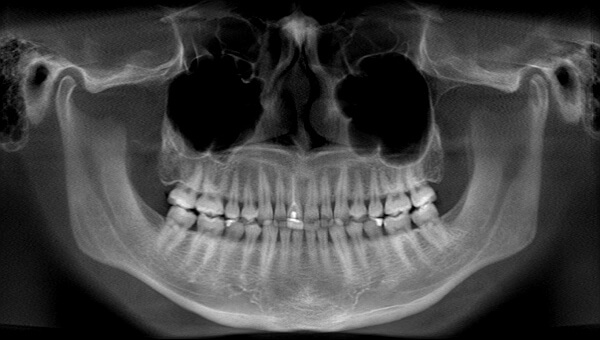 After stabilization if there is mobility from the trauma, and endodontic therapy if we restore a tooth with inadequate tooth structure, we have destined it to fail sooner versus later. Most of these clinical situations are not good candidates for a surgical solution. My goal is to end with level gingival margins, and make sure that the pink esthetics is as exquisite as the teeth, so crown lengthening is only an option if both the cervical gingiva and the interdental papilla can be moved apically without compromising the final appearance. Orthodontic extrusion on the other hand is often an excellent solution. The tooth can be extruded or pulled in an incisal direction. If we need to also bring tissue and bone with the tooth to correct gingival esthetics this can be accomplished. Once the tooth has been extruded an adequate amount for successful restoration, if the gingival margins are now incisal to the adjacent teeth, crown lengthening can correct this and expose tooth structure for preparation. This treatment protocol has helped me save teeth for many patients over the years and ensure exquisite esthetic and structural results. If despite my hopes, the tooth can not be saved, using orthodontic extrusion can create an optimal scenario for implant placement by moving the tissue and bone incisally.